A Non-Spiritual Walk of the Camino de Santiago — Outdoor Evolution | Explore. Create. Inspire. I stared for a couple of beats at the comment on a Camino de Santiago Facebook group. My wife and I were in the middle of a 34-day walk across northern Spain and were sharing experiences and photos of our journey on our YouTube channel, in this Facebook group, and in other social media. This comment was in response to a simple post and picture – the words were, “Enjoying our trek!” and the photo demonstrated as much. The implication of the question was that since the walk we were on is historically a pilgrimage that my wife and I must undergo some religious or spiritual experience, or at best, have a desire to do so. Normally, I just move on from comments like this. We share many of our adventures with others on social media platforms – we love helping with questions by sharing knowledge gleaned from our travels – and we are used to followers having and sharing their thoughts openly. I did what I do when confronted with those who want to superimpose their whim on my adventures; I ignored the questions altogether. Ok, maybe I didn’t ignore them, but I did not respond, though their impetus did needle me. Therefore, I pondered my own question: Is there value to a non-spiritual walk of the Camino de Santiago? 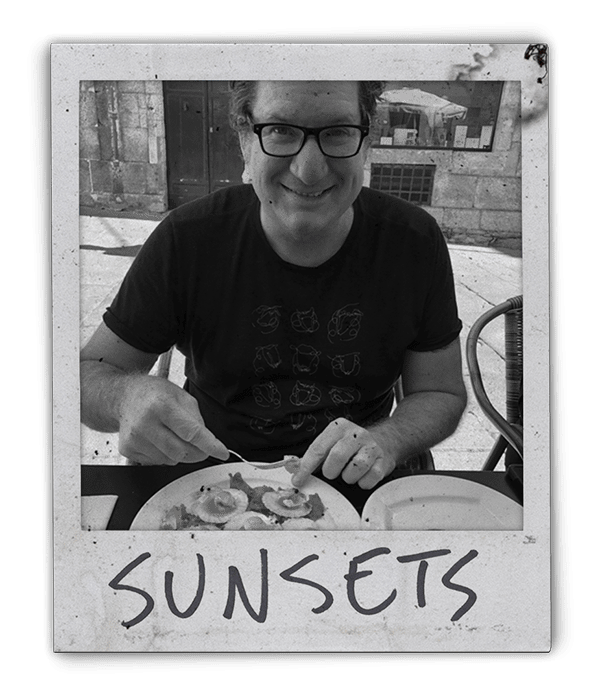 And my conclusion is: only if one is interested in culture, art, history, architecture, meeting new friends, getting away from normal life, experiencing a new physical challenge, and eating great food – all while slow-traveling through northern Spain. Let’s break a few of these benefits down to some of my favorite experiences from our Camino de Santiago trip. The Camino de Santiago got its start in the 9th century when a Galician shepherd found bones in the field he was lead to by a dream. The local bishop was called in and proclaimed the bones to be that of Saint James – one of the 12 apostles of Jesus – who had died roughly 800 years earlier. The bones were interred in a chapel in a town that would eventually be known as Santiago de Compostela. To encourage pilgrims to pay their respects to the newly found relics, the church offered a plenary indulgence whereby a pilgrims’ time in purgatory is eliminated or decreased when the pilgrimage is completed in a holy year or on one of the Saint’s Feast days. Camino de Santiago, translated from Spanish, means “The Way of Saint James,” and is often shortened to just The Way or simply el Camino. The routes to Santiago vary (early pilgrims started from their doorsteps), but all followed pre-Christian and Roman era trade routes. The most common route for modern-day walkers is the Camino Frances (The French Way) and it is the route my wife and I took. It starts in the French town of St. Jean Pied de Port and runs for 800 kilometers (500 miles) over mountains and through forests and farmlands. Several hundred thousand walkers make this journey to Santiago de Compostela each year. Personal growth happens when we expose ourselves to new ways of life and walking the Camino de Santiago for the first time is bound to have an effect. From the triumph of being understood when speaking Spanish (even if it is just ordering a pitcher of Sangria), to meeting shepherds herding goats or sheep, to visiting buildings that have been standing for a thousand years or longer, walking through Spain along the Camino route is to experience a different way of life, a different culture, and a different world. Like on our thru-hike of the Appalachian Trail, one of the benefits to walking 500 miles through Spain was that I could eat with impunity. Weight gain was not a concern as I indulged in culinary delights because I was walking 15-20 miles each day. I am no foodie, but I am a meatatarian. I love meats and Spain is renowned for its cured delicacies. The food we consider gourmet in the U.S. is standard fare in Europe. Legs of ham hang in restaurants just waiting to be sliced and served. Most of the meats come cured and sliced thinly in a kaleidoscope of flavors: chorizo, jamòn, salchichòn, lomo, and oh so many more. Each has its own seasoning and preparation process and each is delicious. As we traveled northwestward through the country and inched closer to the ocean, food options started to overwhelmingly favor seafood. I was okay with that; in addition to meat, I love seafood. Dishes I particularly enjoyed in Spain were, scallops soaked in garlic butter, steamed mussels, and spicy prawns. One dish I did not get to try but should have is polbo á feira, which is Galician style octopus served mainly in the last region of the Camino walk, Galicia. Not only does Spain have a wonderful culinary scene, but it is also known for producing some of the best red wines in the world. And, as fortune would have it, the Camino Frances travels through multiple wine regions. My favorite was the La Rioja area, known for its tempranillos, but they were all very good … and inexpensive. I bottle of decent wine from a grocery store can cost as little as €3 (just a bit more than $3) and a glass at a restaurant just €1. I could go on and on about food in Spain, but I will just mention two more things. First, Spain is known for olives and figs and we would always ask for aceitunas (green olives) to have with our wine and often could pick figs right off trees along the route. Finally, walkers are offered communal “Pilgrim’s Menus” each night of their journey. Served in a restaurant or hostel/hotel these 3-4 course meals are value priced between €8-13 and include (at a minimum) a soup or salad, choice of meat, a dessert, and copious amounts of wine. Many friends from all around the world are made during these meals and they were a highlight of our trip. Each day along The Way pilgrims walk through multiple villages, towns, or cities. It is not uncommon to see up to four hamlets a day and each has their own charm, churches, and history. While the smaller villages are quaint and enjoyable, most of our down time was spent in larger cities when we took a “zero” day (a day off from walking). Here are my three favorite large towns and why. My first introduction to Pamplona, Spain was seeing it depicted in the movie City Slickers (blast from the past, I know). In the movie, the main characters – played by Billy Crystal, Bruno Kirby, and Daniel Stern – dressed in traditional white and red, and ran with bulls through the streets of Pamplona during the San Fermin festival. Crystal’s character rightfully gets gored by a bull. Ernest Hemingway spent a considerable amount of time in this part of Spain and made the town famous by writing about this festival and the running of the bulls in his novel The Sun also Rises. Pamplona is the first major town the Camino Frances walker comes to – about three days into the trek. The Castle Square area of the town is a plaza surrounded by bars and restaurants with open-air dining. Locals and tourist alike gather to drink and eat, and people watch. Like all of Spain, dinner doesn’t really get going until 9 or 10 at night. Another must-see in the town is the Medieval City Wall and Interpretation Center. The impressive walls date to the 1500s and their 5-kilometers of length provided protection against invading forces. Next up is the town of Burgos. Ah, lovely, delightful Burgos. If I were ever to move to another foreign country it would be Spain and Burgos would be high on the list of towns I would wish to live. The Burgos Cathedral is a 13th-century Gothic structure that is, in a word, impressive. It is filled with ornate finishings, sculptures, and paintings from famous Spanish artists. The place of worship is a UNESECO World Heritage site and is worth the 2-3 hours it takes to tour it. Sitting a few blocks away in interesting juxtaposition to the church is the Museum of Human Evolution. Ancient human remains have been found nearby at Sierra de Atapuerca, another UNESCO World Heritage Site, where remnants of the earliest known hominids in Western Europe have been found. One can spend countless hours touring the information housed in the six-story modern building. Finally, how can one not love Santiago de Compostela? It is the destination everyone is seeking, regardless of route, when they first set out on this journey. Coming into the town of Santiago is a surreal experience. Trekkers have been walking for 30, 40, or maybe 50 days and as they wind their way through the busy streets of the town, they get peeks of the massive church in the distance. Most pilgrims try to schedule their arrival to coincide with a pilgrim mass. And, with a bit of luck, they will get to see the 500-pound botafumeiro (the largest incense burner in the world) being swung high over the crowd gathered in the cathedral. It requires multiple strong individuals heaving down on contraption’s rope to create the momentum for the silver cauldron to fly. My wife was, fortunately, able to capture this video of the event. Santiago is the most touristic of all the towns a pilgrim will enjoy. Yes, you will pay more for souvenirs, food, and lodging there, but there will be a plethora of dining options and a melting pot of people all around. There are so many more experiences that make the Camino de Santiago a special journey. The people we met along the route were interesting and some have become friends. There are castles to explore and Knights Templar lore to learn about. There are local artisans to meet and new food and drink to try. There are communal meals and monasteries and nature. There is art and sculpture, architecture and history. The trip is a treasure of culture to absorb. One last thing, most Camino travelers begin or end their trip by flying into or out of Madrid or Paris. We arrived in Paris and left out of Madrid. I don’t need to mention the wonders in each of those cities, but each has museums featuring well-known Spanish artists like Picasso, Dalí, and Mirò. We had several days in Paris as well as Madrid to explore. So no, the Camino de Santiago is not “just a trek” and it’s not solely for one seeking a spiritual or religious experience. This journey, this walk, this pilgrimage, like most adventures, is whatever you wish it to be. Spiritual or not, the Camino de Santiago is worthy of your time. So, get out there. Get fit. Figure things out. Learn history. Experience a different culture. Eat food you’ve never heard of. Meet new friends. Live.